The hackerhof is a lively farm run with much passion and considerable know-how. We mainly produce for local markets and put special emphasis on values added by regional characteristics and traditions. 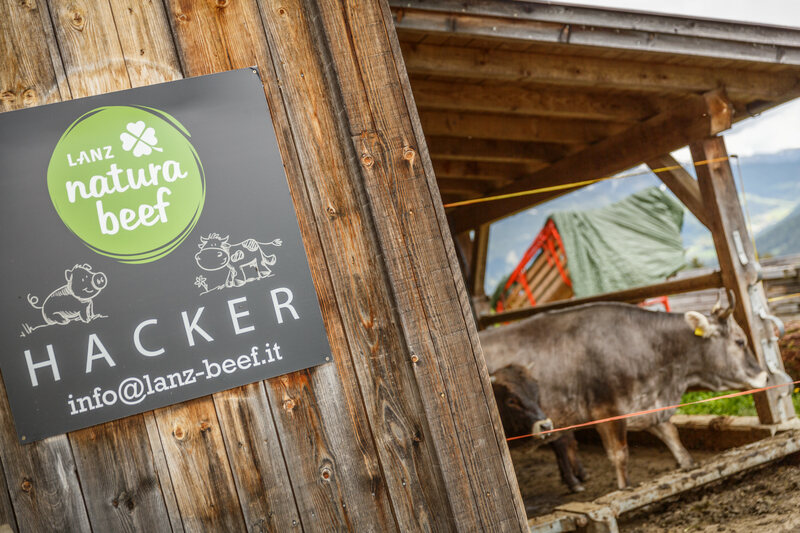 Everything is delivered out of one hand covering all phases from breeding to production: Your host Bernhard Lanz is stockbreeder as well as butcher running his own butcher shop in Toblach. Find your golden opportunity to look behind the scenes and explore the basic workflows while attending a guided tour or a tasting. In case you have a farming background yourself, we would be most pleased and interested in a professional dialogue to gain new ideas and get fresh impetus. 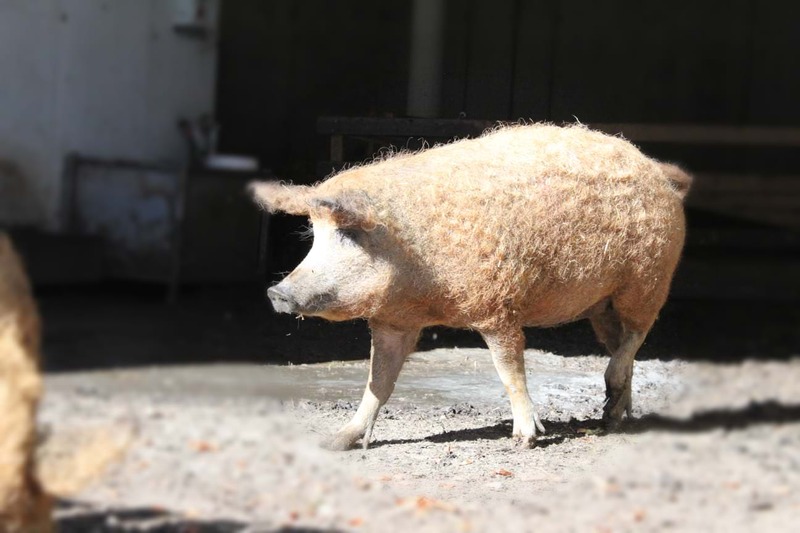 We are also at your disposal to explain the breeding of the woolly Mangalitza pigs, an endangered species of pigs. 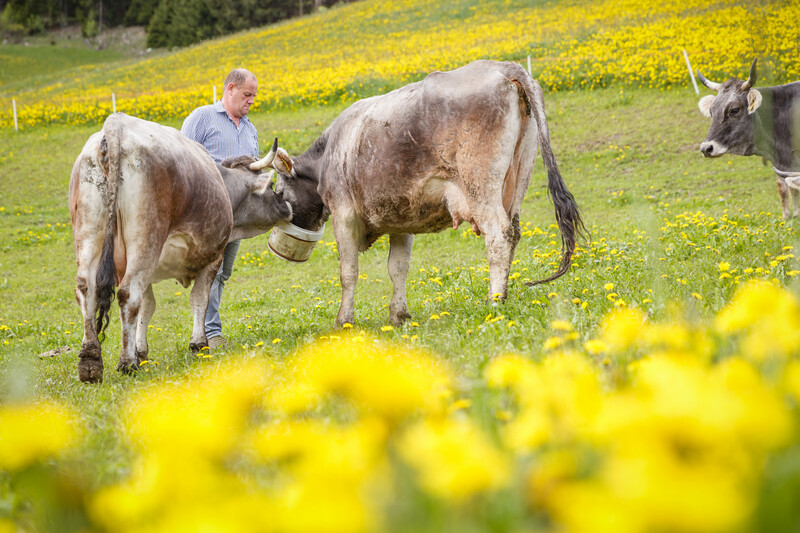 Their breeding is of much interest in particular for those farmers producing meat: Due to its high quality and delicate flavour there has been much demand for the meat itself recently. It goes without saying that our guests are kindly invited to help with the hay harvest. Experience tells that this always is a unforgettable experience for city kids. When submitting a booking request, ask for the harvesting periods! Further information will be gathered on this page soon. Don't miss to check the latest details!